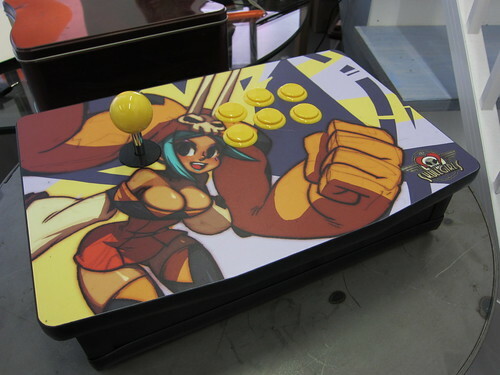 As you may have seen or heard in reporting from the Konami pre-E3 event, the Skullgirls kiosks in San Francisco and Los Angeles featured custom Skullgirls arcade sticks for maximum enjoyment. 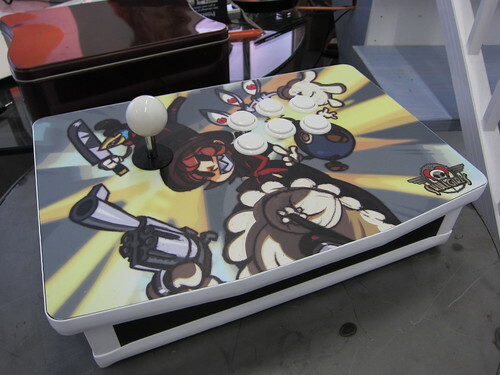 These great sticks were made for us by Arcade-in-a-Box, and will be on display at E3 and at all locations on the Skullgirls Summer Preview Tour. No, these are just for our own display and marketing purposes. 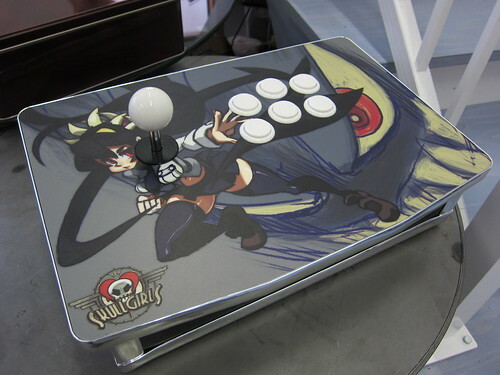 will you put out the art so we can make are own? Hoo boy these things are the business. It doesn’t get any better than AIAB. Congrats Ed. I would pay through the nose for one of those. 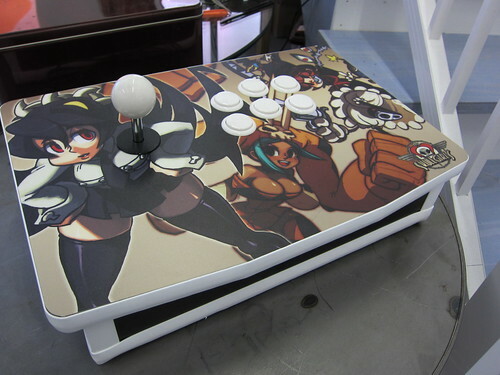 Just waiting for confirmation on if we can have artwork license to sell sticks with the skull girls artwork on it. Wow! 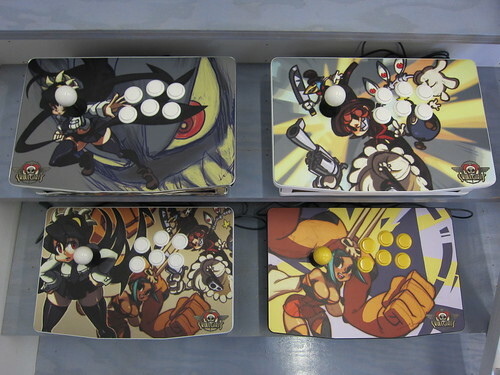 Now there is 4 arcade sticks here that I want to add to my arcade sticks collection.